Smith is introducing the Session helmet for 2018. 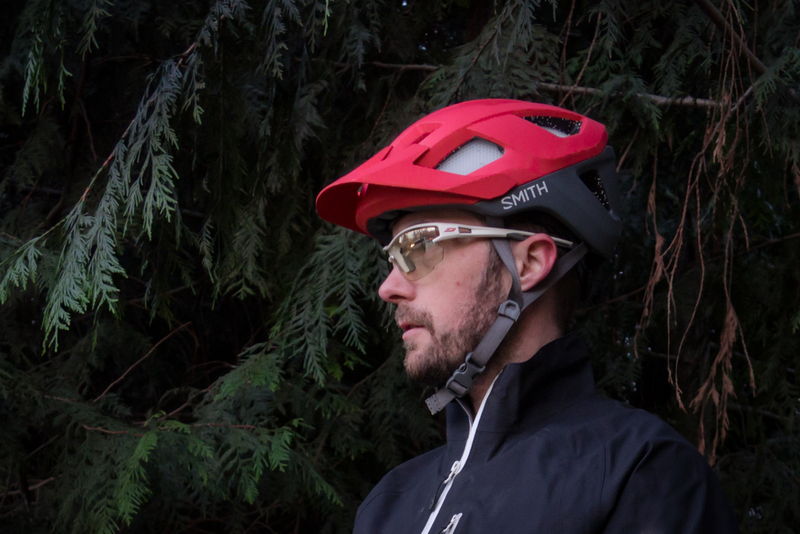 Does Smith’s newest helmet strike the right balance between comfort and safety? I tried to find out. 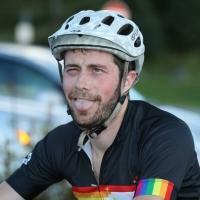 Unlike my previous helmet review, I am excited to report that I did not, in fact, test this helmet. At least, not in the crash-test-dummy sense. That isn’t to say that I resisted bashing my skull for fear of the Session not being able to protect me, but rather that I’ve found that I prefer to remain upright and in motion while out riding, rather than seeing how quickly I can decelerate when I put my body into another solid object. Now, should I have ever needed to rely on the Session’s brain-saving capabilities, I’m confident that the efforts of Smith’s best and brightest would have done a great job in protecting my gray matter. The Session helmet integrates an impressive amount of concussion-resisting technology into a lightweight (370g) package, with Multidirectional Impact Protection (MIPS) and Aerocore/Koroyd being the fancy bits sandwiched between the more traditional EPS and ABS (Expanded PolyStyrene and Acrylonitrile Butadiene Styrene, for you chemistry fans out there) that make up the primary structure. Without going into a full discourse on MIPS, as there’s plenty of good reading out there already (including some headier papers available on MIPS’ own website), the system allows the helmet to rotate in order to offer more protection in a wider variety of impact scenarios. 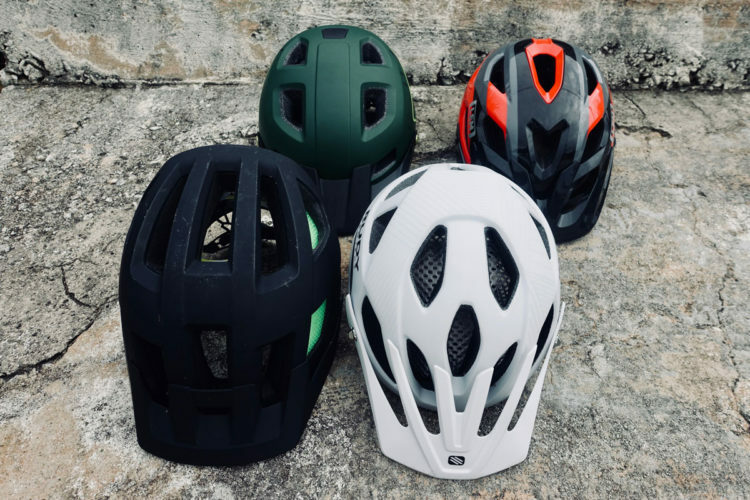 In everyday riding, the helmet never feels as if it’s floating or rotating around the rider’s noggin, so the presence of MIPS will go largely unnoticed until it is most needed (read: you put your head into an immovable object). While MIPS is a more active bit of protection, Smith’s Koroyd material is a more passive approach to adding a degree of safety while decreasing weight and increasing airflow through the helmet. 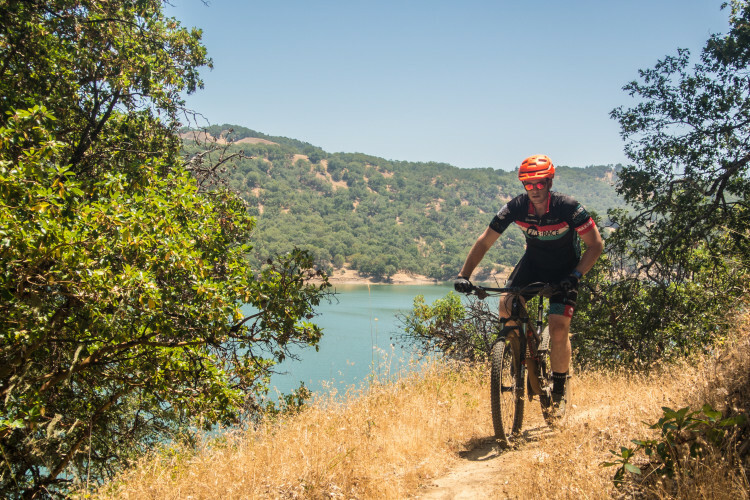 Koroyd is used to bolster the efficiency of the EPS structure, while still allowing for heat to escape the helmet and prevent riders from sweating themselves out on the trail. In some corners of the interwebs, I’ve read complaints that the Koroyd structure doesn’t allow for as much airflow as promised, and it appears Smith has listened. 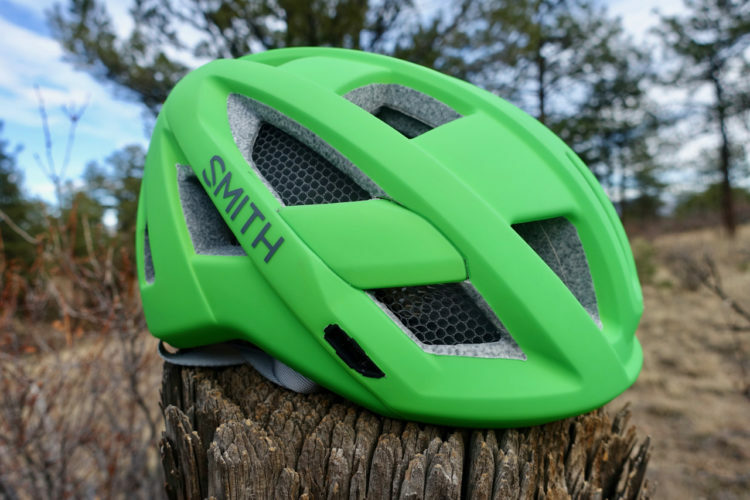 Compared to previous Smith helmets with the technology, the Session has a generous amount of Koroyd-free ventilation in the center of the helmet, with the additional impact-absorbing wonder material being moved toward the sides of the helmet. In practice, I’ve found a marginal difference between a wide-open helmet design (like a POC Octal X, for example) and the Session, with the Smith running ever slightly warmer. 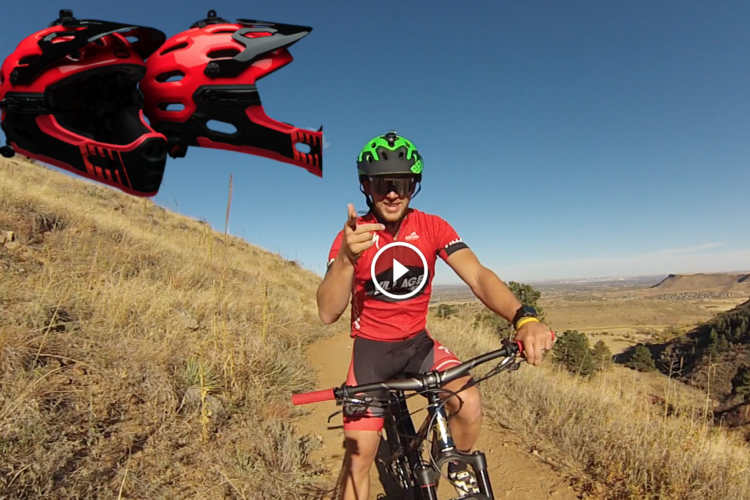 On the trail, the Session does a fantastic job of fading into the background, as its light weight is supported quite comfortably on the rider’s cranium. The padding inside the helmet has found that Golidlocks-esque feeling of “just right,” with it being pliable enough to be comfortable without being a non-supportive mass of fluff. Adding to the inherent comfort of the padding is the impressively adjustable “VaporFit” system that fits a wide range of head shapes through a combination of a 40-click rotary dial to adjust width. 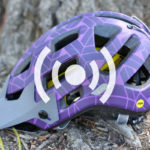 There are also 3 different vertical position settings to allow the rider to customize just how deep they’d like their helmet to rest atop the head. 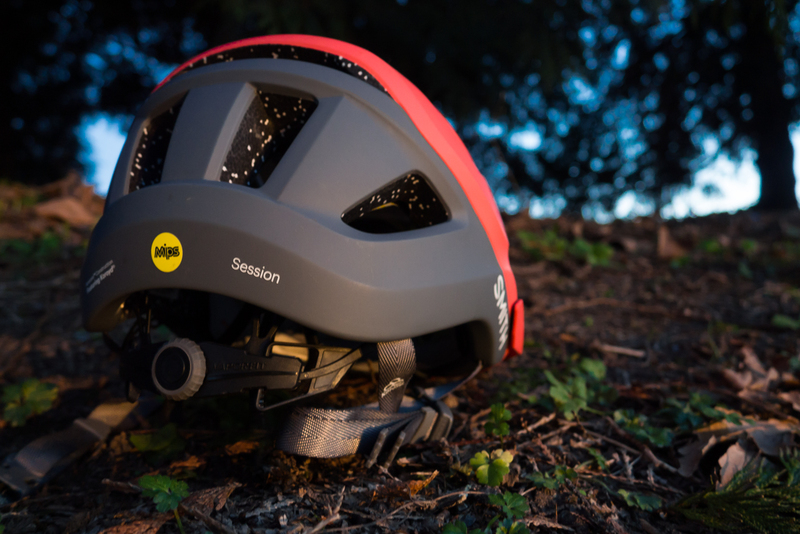 If you’re of the tinkering persuasion and love the ability to customize the fit of all your gear to achieve the ever-elusive perfect fit, then this might just be the helmet for you. 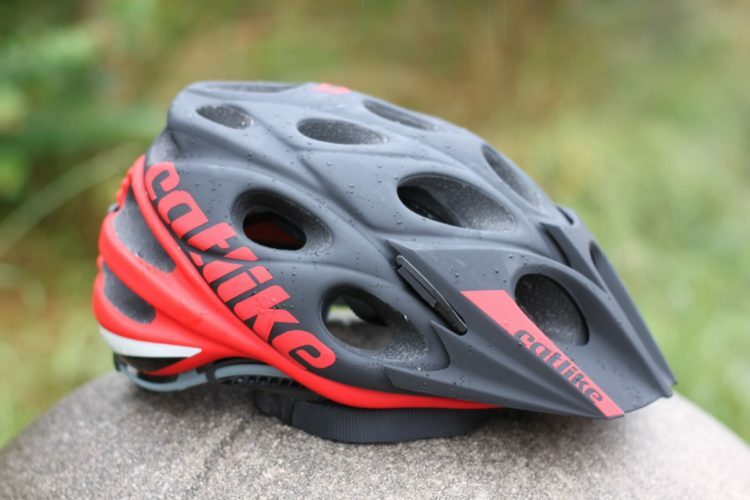 Looks-wise, the Session offers a welcome modern and understated take on the mountain bike helmet. Where some helmet designs take a bit of a spacey, futurist approach and end up looking overwrought, the Session is a refreshingly clean design that can be had in a variety of color choices to satisfy those both sedate and more adventurous in their fashion sense. Up close, the Session displays an impressive focus on quality, with the parting lines between the shell and lining being nearly imperceptible, and the overall finish throughout the helmet being much more impressive than the reasonable price tag might suggest. 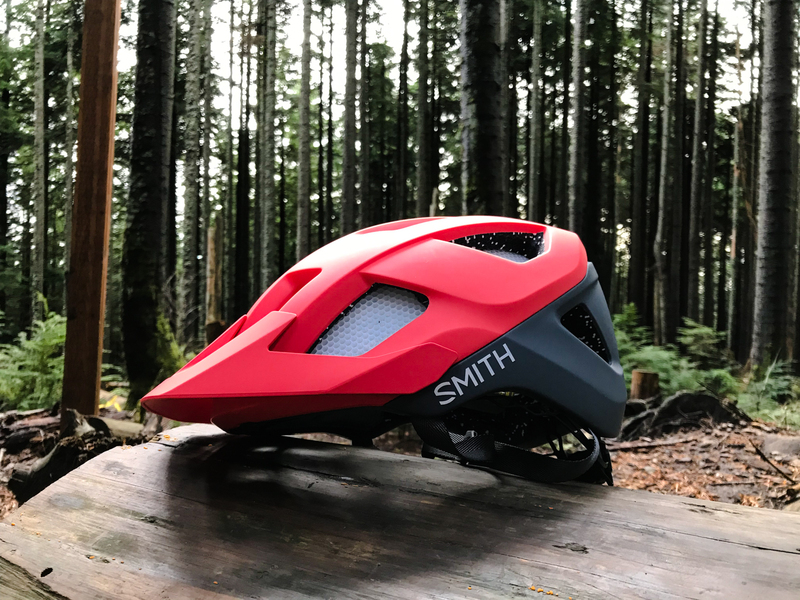 Overall, I’m quite impressed with Smith’s latest offering — it’s managed to integrate a bunch of impressive technology into a lightweight and aesthetically pleasing package while keeping the price within reach of most riders. After spending time with the Session secured atop my head, I’ve become quite the fan. 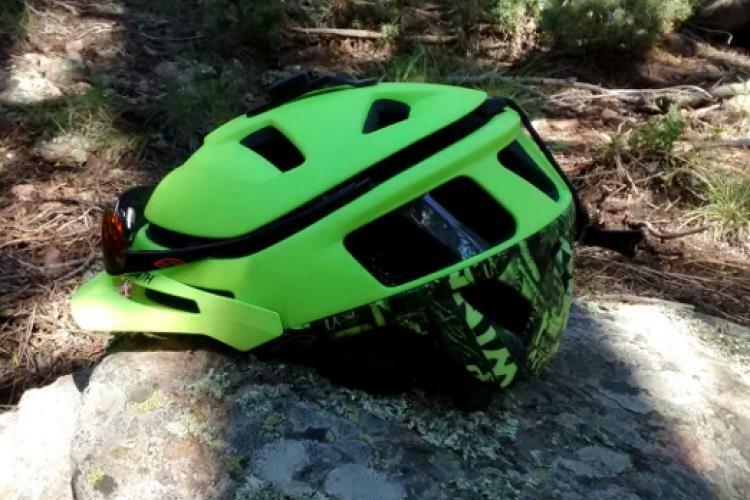 Should the need arise for a replacement helmet, whether it be just due to age or through an unexpected off-the-bike moment, I’d definitely come back to the Session. Many thanks to Smith for providing the Session for review.